Gorgeous full remodel rambler move-in ready! Close in <10min to main shopping. Open plan features chefs kitchen w/breakfast nook, separate Liv & Din, luxury master suite w/spa tub & shower & dressing rm, office/media, bonus/4th BR. Bright, Cathedral ceilings, hardwood floors, central Vac & HVAC. Built-ins, closets, storage. 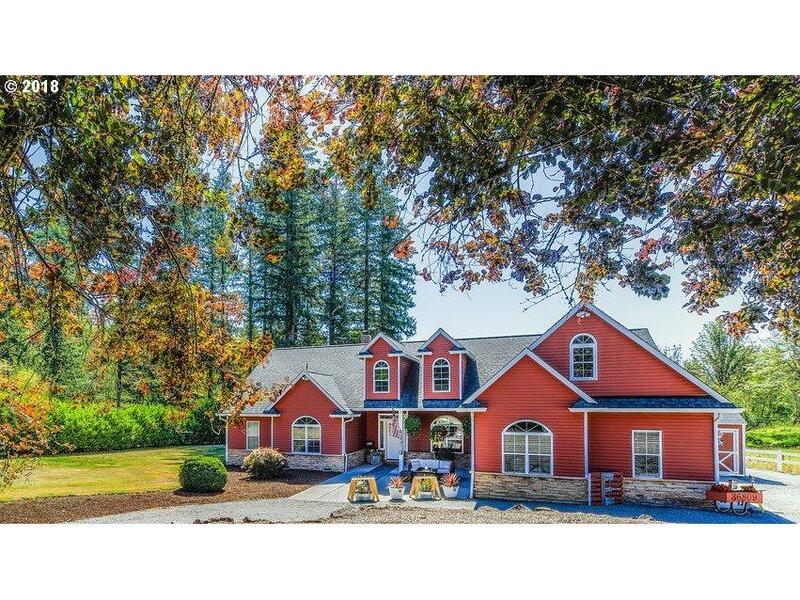 Circular drive, huge finished garage, level acreage w/paved trail, creek & patio living area w/custom fireplace. Listing provided courtesy of Key Homesellers Inc.